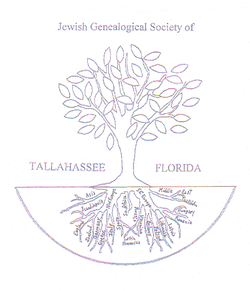 The Jewish Genealogical Society of Tallahassee, Florida (JGST) began on an informal basis in November 1999, with the initiative of Rabbi Stanley Garfein, Charles Nam, and Al Sulkes. Through notices in publications of the Tallahassee Jewish Federation and local synagogues, interested parties were made aware of the new interest group. Occasional meetings were held over the following year and one-half at meeting rooms in Temple Israel with participation by persons who had indicated interest in studying their Jewish roots. These meetings generally focused on participants reporting on their genealogical searches and findings. On April 22, 2001, with sufficient participation having been achieved, the JGS of Tallahassee was officially organized. The society affiliated with the International Association of Jewish Genealogical Societies at that time. The purpose of the society is to facilitate the genealogical research activities of members by providing general knowledge of research sources, scheduling meetings to hear speakers on relevant topics and to share genealogical information, making members aware of publications and activities concerning Jewish genealogical study, and otherwise assisting members in becoming better informed about their own ancestors and the areas from which they came. The JGS of Tallahassee holds quarterly meetings. It is also represented at the annual conference of the International Association of Jewish Genealogical Societies (IAJGS). This website is maintained by Charles B. Nam. Inquiries can be directed to him at charlesbnam@gmail.com.